Iranian Supreme Leader Ali Khamenei lashed out at President Barack Obama on Wednesday for not apologizing to the Japanese people for the atomic bombing of Hiroshima and Nagasaki during World War II. Obama is set to become the first sitting U.S. president to visit Hiroshima, the historic site of the world’s first nuclear bombing. The White House has made clear that Obama does not intend to offer an apology for the war act. The Iranian leader slammed Obama and the White House on Tuesday, demanding that the U.S. president apologize to Japan for the nuclear attack. "When people say to them, they should apologize for the Hiroshima incident, they answer, ‘No, we will not apologize'," Khamenei was quoted as saying in the country’s state-controlled media. "The stream of ignorance and tyranny kills hundreds of thousands of people in Hiroshima with atomic bombs but after several years, isn’t yet ready to apologize." Khamenei also took to Twitter to criticize the United States. 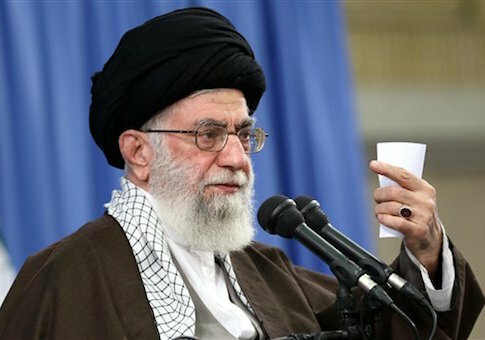 "They are not even willing to apologize for dropping atomic bomb on Hiroshima," Khamenei tweeted. Obama’s plan during the trip is to promote a world without nuclear weapons. Meanwhile, Iran continues its pursuit of nuclear technology and ballistic missile know-how.